Gregory will be spending two weeks at The Moth Retreat in rural Ireland. He will also receive �1,000 as part of his prize. His self-portrait appears on the cover of the autumn 2018 issue of The Moth. DIARMUID DELARGY is a renowned Irish painter, print-maker and sculptor. He studied at the Slade School of Art. He is a member of Aosdana, The Royal Society of Painters/Printmakers, London and the Royal Ulster Academy. TAZIA FAWLEY is an artist who happens to have Down Syndrome. She is 48. She has been painting all her life but it has been more serious for the last fifteen years. A few years ago she was honoured to have one of her paintings accepted by the Duke and Duchess of Cambridge on the birth of their son George. It was to go in his nursery. ELLEN HECK is a printmaker working from North Carolina in the United States. Her projects and portfolios are studies of identity � its creation, variability, persistence and change. She often combines multiple traditional printmaking processes such as woodcut, drypoint and aquatint. HOLLIS HEICHEMER was born in Binghamton, New York. She has exhibited throughout the United States, as well as in Ireland, Italy and an upcoming exhibit in Paris. Heichemer has been the recipient of various awards including The Franz and Virginia Bader Fund Grand, and Fellowships at The Vermont Studio Center and Artist in Rural Ireland Foundation. ROBERT C JACKSON is a contemporary still life painter with a nostalgic and Pop sensibility. Robert trained as an electrical engineer, but quit after five years to work full-time as an artist. His work can now be found in private and public collections worldwide. Robert resides in Pennsylvania, USA. ALEX KANEVSKY was born in Russia in 1963. He studied mathematics at Vilnius University in Lithuania before moving to Philadelphia in 1983. He worked as a translator and an illustrator at the Psychiatric Nursing Magazine and drew pictures for telephone book advertisements. He attended PAFA and won a Pew Fellowship in 1997. He has exhibited his work in the US, Canada, Italy, UK, France and Ireland. MICHELLE KETTLE was born in Dublin, Ireland and studied ceramics at the National College of Art and Design. Upon graduating in 2009 she moved to Melbourne, Australia where she began oil painting. Her work focuses on Melbourne�s architectural facades and explores familiar scenes with a somewhat voyeuristic quality. She is currently represented by Boom Gallery in Geelong, Victoria. RAHA KHADEMI LANGROUDI comes from Iran and currently lives in The Netherlands. She has a bachelor in painting from the University of Tehran, and received her Masters degree in painting from Hanzehoge School in Groningen, The Netherlands. EILISH MCCANN grew up in Co. Cavan and lives in Wexford. She has a BA arts degree from Trinity College, Dublin and a Diploma in Art and Design from GMIT, Galway. She has exhibited in Ireland and abroad and was shortlisted for the Hennessy Portrait Prize in 2017. ALEX RUSSELL FLINT is a British artist. 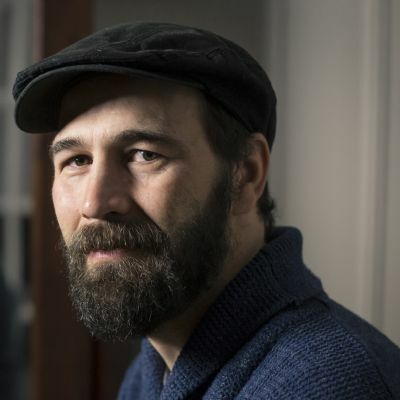 He divides his time between studios in London and his house in the Poitou-Charentes region of France, where much of his work is set. 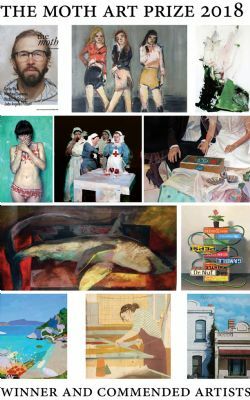 The Moth Art Prize is awarded to a body of figurative or representational work. The prize consists of �1,000 plus a two-week stay at The Moth Retreat, situated in a beautiful lakeland setting in rural Ireland. The prize is open to anyone over the age of 18, and is judged on a portfolio of images of 5�10 artworks submitted by email or post. 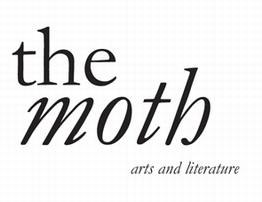 If you would like to be kept up to date please email enquiries@themothmagazine.com.